Hello there my friends! I know…we are all chomping at the bit for Spring to arrive….it’s been quite a week of crazy weather and here we go again! UGH!!! Although it’s snowing this morning, my kitchen is smelling like Spring! A few days ago, I was lucky enough to receive a beautiful package from Aroma Seize, containing a honeysuckle jasmine candle, soap and a citrus room spray. It’s pretty amazing how I’ve been able to connect with some awesome companies and products via social media and this particular company from California is one of them. 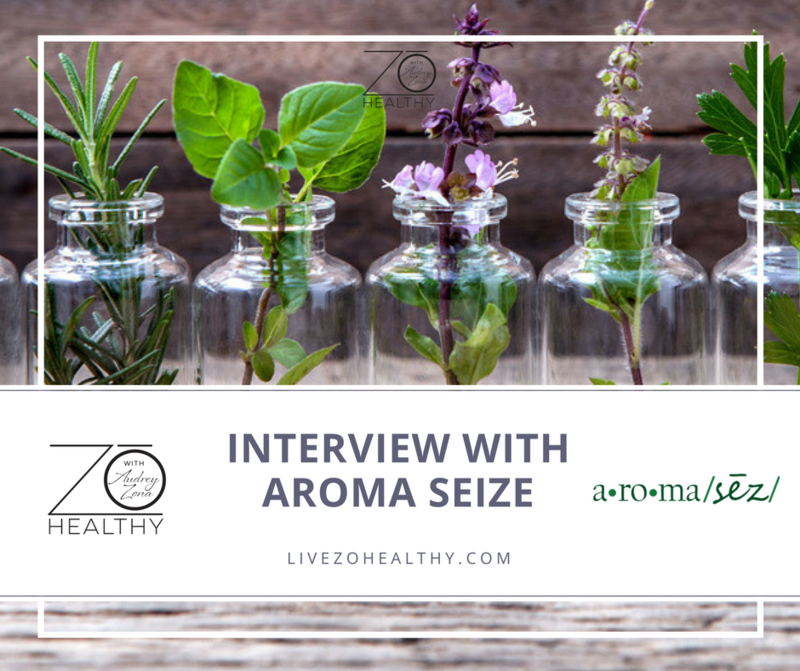 I recently connected with Becca Nitta, of Aroma Seize, on Instagram and she was so generous to send me some samples to check out. So, I thought it would be fun to share with you like LoveLove back in February (if you missed that one, you can check it out here). What I love about this company is how clean their products are and, as a health coach, it’s super important to me to ONLY share healthy products with you. Isn’t that amazing?! Because of their philosophy, they always produce health-conscious products that are handmade, unique, environmentally responsible and plant based. Aroma Seize only uses ingredients that nourish, heal and protect the body. How did Aroma Seize begin? Aroma Seize began from a need for healthy body care, when the founder realized that she had an auto immune disease. While searching for a natural cure, she began to question the ingredients of all her body care products. The chemicals that were listed in those common products were proven to be carcinogenic and contribute to Alzheimer’s disease. These products included toothpaste, shampoo, lotion, deodorant, mouthwash, soap, perfume, air freshener, candles, sunscreen, bug repellant and more. What stemmed from an illness has grown into an environmentally responsible, plant based company. 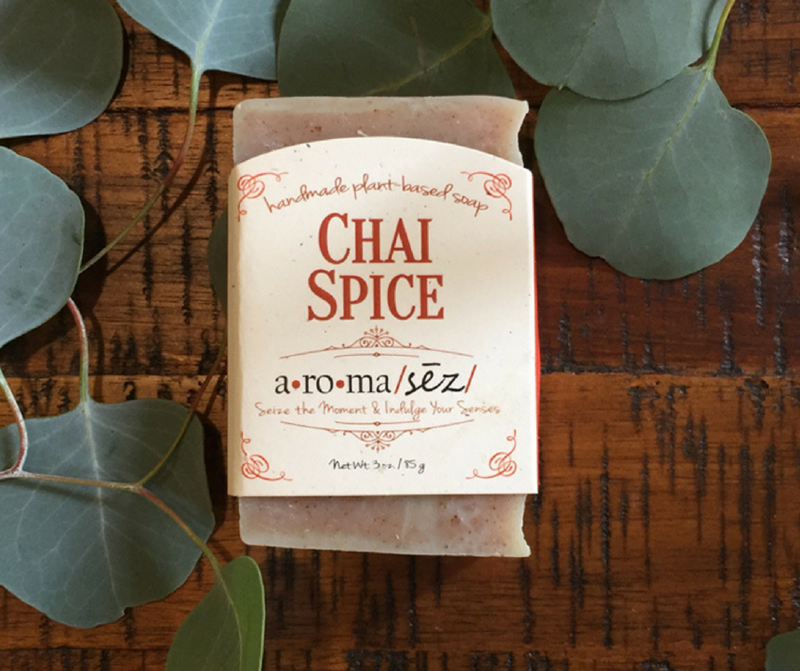 The Aroma Seize product line is growing and includes handmade products made with essential oils and materials that are phthalate-free reed and phthalate-free. Even their labels are printed on recycled paper! She has some great FAQs here. What products does Aroma Seize offer? Go check out her beautiful products in her shop here. And be sure to use the promo code “healthyliving15” for a special Zo Healthy discount of 15%! 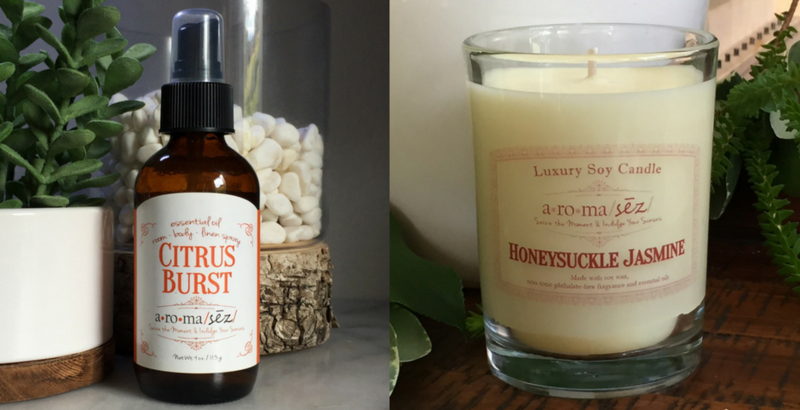 Grab your honeysuckle candle so that your kitchen can start smelling like Spring too! Have a magical day!